"Not only does Randy Cain know his subject matter, he has that rarest of rare qualities - the ability to impart his knowledge to students." "Spanning the past two decades I've had the honor and pleasure of working with Randy on several federal contracts and know first hand that you'd be very hard pressed to find a better, more knowledgeable instructor with a unique ability to raise your level of understanding and skill." "Randy Cain is an exceptional person and instructor. His classes are small, intense, and a whole lot of fun. Cain is friend and protégé of the late, great Louis Awerbuck and has an uncanny ability to properly diagnose shooter’s problems." "I must say his reputation precedes him and it is all positive. His students respect him deeply and as a fellow instructor I am relieved to have Randy’s students sign up for my classes. I know that they will be switched on and have a great understanding of the fundamentals. When I have chatted with Randy he is a quiet and respectable man who let’s his work speak for itself. 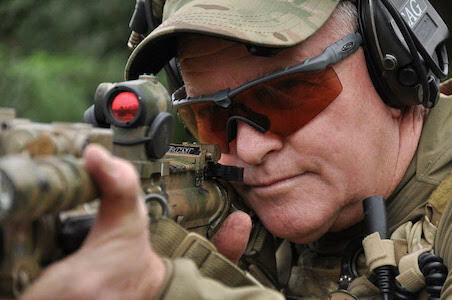 If you are in need of firearms training he is at the top of the list in my book." 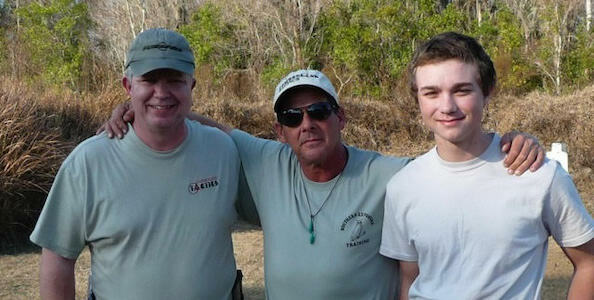 Cumberland Tactics is a mobile training school devoted to providing state-of-the-art instruction. We train men and women who are serious about learning the essential skills required for the effective defensive use of small arms: marksmanship, manipulation (gun handling), tactics, and mental conditioning (mindset). Our diverse student body of more than 20 years includes doctors, lawyers, teachers, airline pilots, law enforcement officers, military personnel, business owners, students, home makers and new Concealed Weapon License holders. We limit class size to ensure everyone receives personalized, one-on-one instruction. Select a Handgun, Rifle, Shotgun or host your own class. Check the schedule for latest dates and prerequisites, if any. Online fillable PDF or downloadable MS Word document. Print and mail with your deposit. Please see our list of required and recommended gear, such as holster, sling/carrying strap, magazines, and ammo. Randy Cain will be your trainer, period. We don’t use surrogates or substitutes. You will get the one-on-one instruction you need to improve significantly in your course. We respect our students’ privacy and conduct all business on a confidential basis. We do not sell or share our contact list. Some of our students, including public figures, high profile people, those working in gun-hostile environments, and others simply don’t want the general public to know they even own firearms. They trust us to keep their confidences, and we are committed to honoring that trust. We update our course schedule on a continual basis. Please check it often for upcoming courses. If you’re interested in hosting and/or coordinating a class in your local area, please contact us. We also provide Private Tutorials for individuals and groups, tailored to the clients’ specific needs and desires. We accept personal or business checks for deposits, and the same or cash for the balance of tuition paid on site. We do not accept credit cards, Apple Pay, PayPal, Venmo, etc. Call us old fashioned in this regard – we’re good with that. We believe that fundamentals are the cornerstone of survival, and that progressively better defensive shooting must be built on solid fundamentals. There are no advanced techniques. The so-called 'advanced' shooter merely executes the basics a bit better and/or quicker. Shooters wanting to improve their performance to this level do so only with a more thorough understanding and execution of the basics. Randy Cain has been teaching and elevating the performance of his students for nearly four decades. 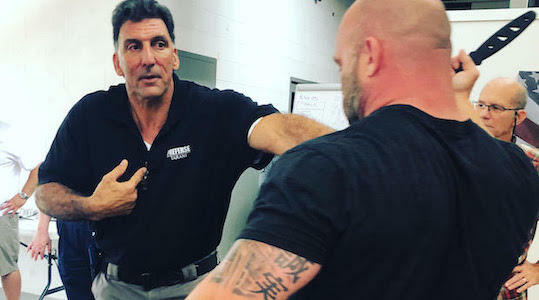 He has trained with many of the country's most recognized and acclaimed instructors and taught with and for the elite pioneers of tactical training instructors. 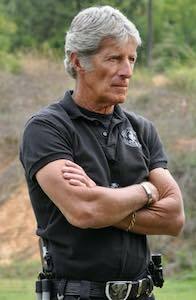 He is honored to be one of only three people in the world to hold instructor certification from Louis Awerbuck and Yavapai Firearms Academy having coordinated and/or hosted YFA classes for 20 years. It was Louis Awerbuck who persuaded Randy to start his own mobile training business. 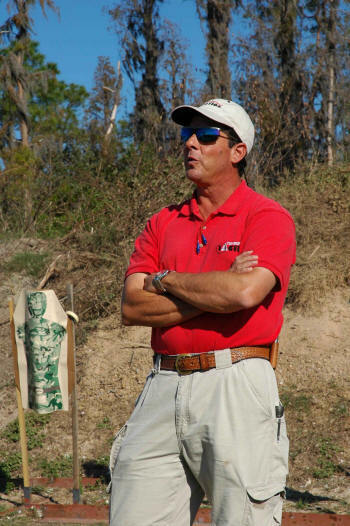 Randy was a Rangemaster and Staff Instructor at Gunsite for eight years, including duty as an instructor in the highly esteemed Masters Series classes with Gunsite founder Jeff Cooper. 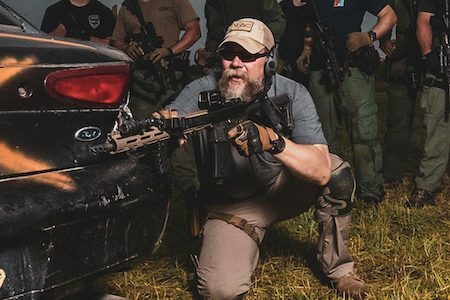 Randy's service as a police patrol officer, SWAT team member, and training officer shaped his approach to range training with lessons learned from the harsh realities of the streets. Randy encourages open minds and critical thinking, but he's not much for the fads that come along in the training world. He focuses on solid, time-tested fundamentals and embraces tactics evolved over time through actual armed confrontations. His experience and discerning eye combine to provide each student with relevant and highly effective training, resulting in improved student performance.